On February 2, 2015 we got a very interesting read in the form of a blog post from Julia White, General Manager of the Office Product Management Team. 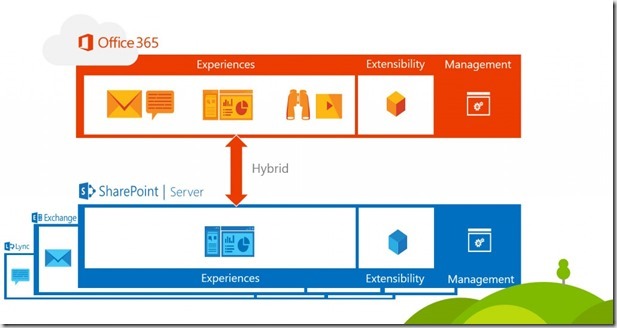 The post is titled Evolution of SharePoint and talks about the future of SharePoint on-premises and Office 365. This makes for a very interesting read and gives us some insight into Microsoft’s plans for SharePoint and Office 365. As you might have expected the name for the on-premises version of SharePoint will be SharePoint Server 2016. The product will be released later this year, second half of 2015 is the target. Microsoft does not reveal very much of what they have included in the on-premises version of SharePoint other than that they will offer enhanced, flexible deployment options and that the product is enabled for massive scale. The product is designed drawing on functionality and experience Microsoft has gotten from Office 365. They have also invested heavily in hybrid for SharePoint Server 2016. I would guess you will not see much of the new stuff from Office 365 on your on-premises server but that you will find ways to integrate the services, like Delve, with your on-premises server. It will be very exciting to see how Microsoft does this, and to see what functionality from Office 365 can be used together with your on-premises server. We can already use search in a hybrid environment, and I would guess we will see much more functionality like BI, Yammer, Office 365 Video etc much tighter integrated with SharePoint Server 2016 on-premises. This is a key area for Microsoft, helping us, the customers, to move more and more functionality to the cloud. Microsoft knows that customers will not move all their stuff to the cloud immediately, or maybe not any time soon and therefore will provide hybrid solutions to access the new functionality that will appear on Office 365. In Office 365 new features and functionalities have appeared frequently during 2014 and I guess nobody will be surprised to see this continue in 2015. Delve is an innovative way to find relevant information. It’s powered by the Office Graph and shows you information based on what you and your colleagues are working on. The more you work together and share/edit document the more Delve will be able to show relevant information. I’m sure we will see more exciting new uses of Delve in 2015. 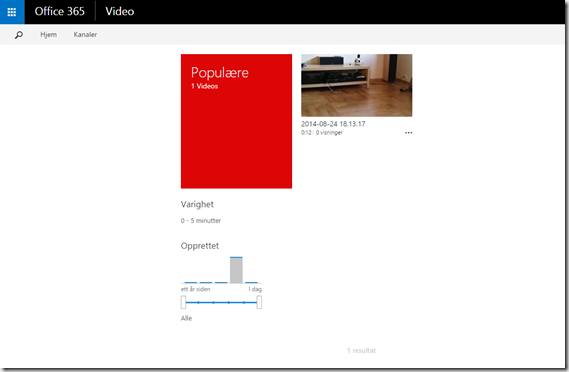 In 2014 Microsoft released it’s first NextGen Portal, Office 365 Video. This looks part of an effort where Microsoft will deliver more and more prebuilt portals as part of Office 365. They say that for 2015 we can expect more NextGen portals focused on Knowledge Management and people. I’m really looking forward see what Microsoft cam deliver here and how we as consultants and developers can extend and create solutions on top of these portals. We already know there will be an Office 365 Video API to build on top of the Video portal and it’s safe to assume that will be true for the other NextGen portals as well. 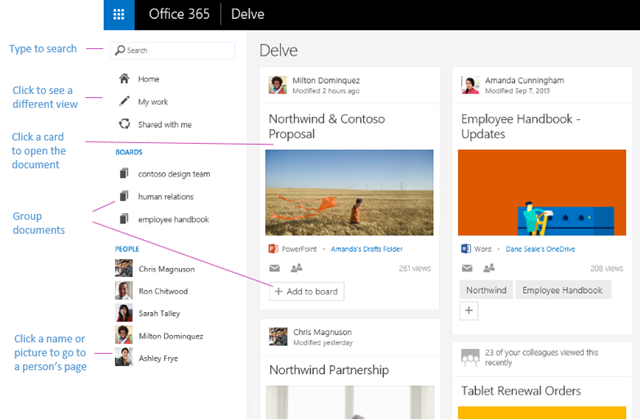 In 2014 Microsoft have replaced the Newsfeed from SharePoint with Yammer integration. The integration is still a bit shaky and have a way to go to be seamlessly integrated with SharePoint sites etc. But Microsoft have done a lot of work on the Yammer integration in 2014. Yammer is integrated with Microsoft Dynamics CRM and event 3 party solutions like Salesforce.com. They have integrated Yammer discussion with Office Online so you can have a discussion running alongside the Office document. Yammer is also integrated with videos in the Office 365 Video Portal so you can discuss videos. I think it is safe to say that Yammer will be even more tightly integrated with both SharePoint server 2016 on-premises and in Office 365. For collaboration Microsoft released an exiting new experience in Office 365 called Groups. This is according to Microsoft only phase one of Groups. Groups are meant for collaboration in ad-hoc teams or for projects etc. They feature functionality for discussions, a common mailbox, calendar and files. Groups shows how Microsoft uses Office 365 to seamlessly brings together functionality from several different products. In the case of Groups the mail and calendar are Exchange/Outlook and the files are stored in OneDrive for Business. In future Phases Microsoft has said they will Integrate Yammer and Lync (Or Skype for Business as it will be rebranded in the first half of 2015). I think they will integrate stuff like Tasks and more in phases to come. this will then provide a solid collaboration platform seamlessly integrating different products from Office 365. If this thing comes together correctly I think it might be more useful for collaborating than a SharePoint Team Site is today, so perhaps it will replace team sites all together. The good news for developers is that Microsoft is committed to let partners and customers build solutions and customize the experience on both SharePoint Server 2016 on-Premises and in Office 365. To develop solutions for the future developers have to change their way for the previously used full-trust on-premises solutions and start developing using the SharePoint app model. Microsoft provide guidance in the Open Source Office 365 Patterns and Practices project. The move for developers is not necessarily easy, we have been developing Full-trust solutions for many years on the SharePoint platform. There are plenty of tools and experience out there to build solutions in a quick and familiar way. On the other hand the app model is all new and there are not really any tools out there to help speed up the development process. But the guidance and direction from Microsoft is very clear so the faster you can switch your development to the new model the better prepared for future possibilities you will be. Microsoft will release a new version of SharePoint for on-premises installation in the last half of 2015. The product will be named SharePoint Server 2016. I would be surprised if there where any brand new functions built into the product. If there are it will probably be some of the stuff we have seen come out on Office 365 in 2014, but I doubt it. Microsoft say they have invested in deployment and scaling so I believe we will see many choices in that area. They have also invested heavily in hybrid functionality and that’s where we will see the most new stuff. 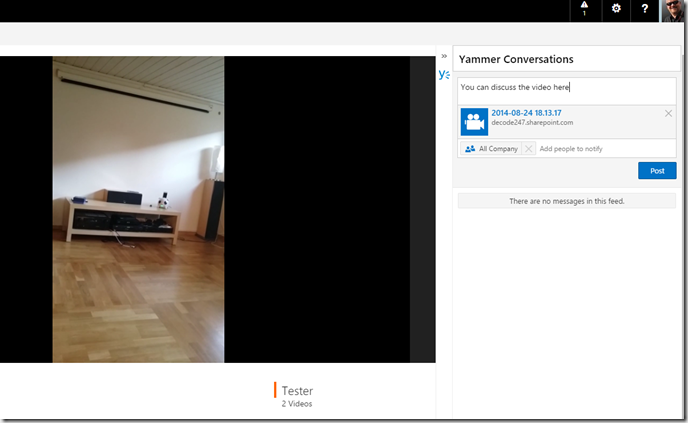 New ways to connect and use functionality from the cloud for your on-premises SharePoint, like Office 365 Video, Yammer, Delve etc. Office 365 is where we will see a lot of new stuff in 2015 as we have in 2014. Microsoft have talked about more NextGen portals coming around knowledge management and people. And I’m exited to see what they will do with Groups in Office 365 as they extend this further. It could be a good replacement for team sites. And I look forward to see how Delve evolves during 2015. All the functionality in Office 365 will probably be even more integrated during 2015, it’s still early in the cloud and some elements shows sign of this. 2015 will definitely be an exiting year for us working with SharePoint whether on-premises or in the cloud.